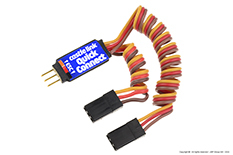 Is "stick" programming your Castle Creations brushless controller getting old? Can't remember what settings are programmed in your ESC? Why hassle with transmitter stick programming when you can plug your brushless controller into the Castle Link Windows® compatible programming adapter and the USB port on your PC? • Set up of programmable options with point and click ease. • View your current Phoenix program settings. 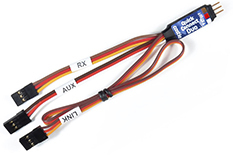 • Customize values for low-voltage cutoff, prop brake strength and governor mode gain. • Download new software updates via the internet as they become available. • Now with saved settings files! • New "check for updates" feature! 2. Plug the Castle Link into the receiver lead on your controller and attach the mini USB cable included in the kit. 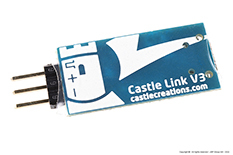 Castle Link is compatible with Windows Vista, Windows 7, Windows 8 and Windows 10.